Spokane's Jared Karstetter is proving himself on the field and in the classroom. 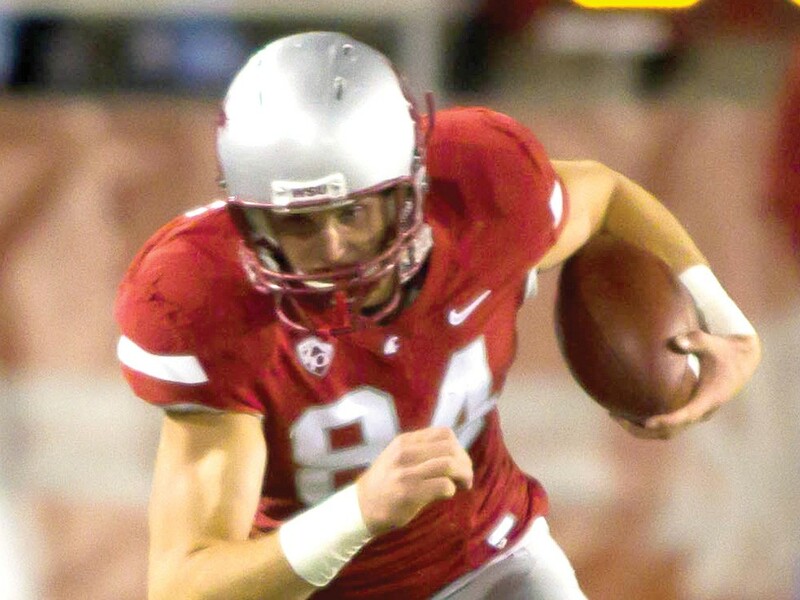 If anyone had reason to bail on Paul Wulff and the Washington State Cougars, it was wide receiver Jared Karstetter. Not only did Karstetter verbally commit to the Cougars before Wulff replaced Bill Doba as coach in 2008, but WSU has lost 32 of 37 games during Karsetter’s first three years with Wulff. Mind you, Karstetter’s Ferris High football team finished 12-1 and reached the state semifinals his senior year. His last two basketball teams at Ferris went 58-0 and won back-to-back state championships. So, Jared: Knowing what you know now, would you still come to WSU? Still, Karstetter is quick to acknowledge that all the losing “hasn’t been easy” after he experienced so much success in football, basketball, and track at Ferris. “You come in as a freshman, you don’t understand what it takes … and I don’t think the coaches understood, either, how far behind we were as far as chemistry, executing,” Karstetter says. A zoology major who plans to become a dentist after what he hopes will be a long and successful NFL career, Karstetter carries a 3.6 grade point average while taking pre-med and pre-dentistry classes. He made the Pacific-10 Conference All-Academic first team last year after earning second-team honors as a sophomore. Karstetter was an all-conference honorable-mention pick the past two years, during which he started every game and led the Cougars in total receptions and touchdown catches each season. His 62 catches, 658 receiving yards and seven touchdown receptions last season were career highs. “He’s a leader on campus,” offensive coordinator Todd Sturdy says, “he’s a leader in the classroom, a leader in the community, a leader on the football team, got an outstanding work ethic.